"I keep in mind that jewelry is deeply personal and should allow the wearer to feel as if it is an extension of her being," says designer Brooke Gregson. 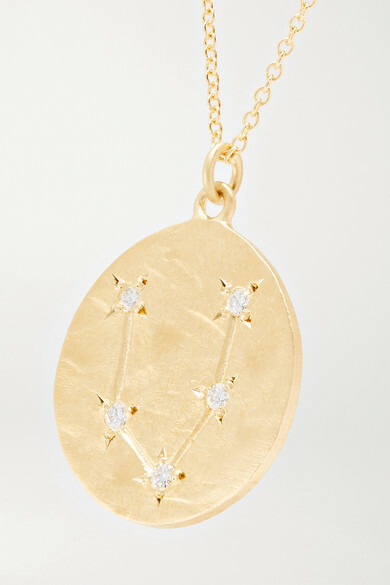 Embellished with 0.10-carats of VS1 diamonds in the shape of the Pisces constellation, this brushed 14-karat gold necklace is cast by hand, making it totally unique. Shown here with: Jil Sander Shirt, Victoria Beckham Top, Altuzarra Pants, Victoria Beckham Shoulder bag, Stella McCartney Pumps, Calvin Klein Underwear Bra.